Mr SuperPlay Casino was launched in 2017 and they are the latest addition to the group of casinos that are operated by ProgressPlay Limited. This online casino carry a very cool style which make you think of the New York City hipsters from back in the late 90’s. Mr SuperPlay Casino offer an impressive portfolio casino games which includes more than 500 titles from the market-leading slot producers like NetEnt, NextGen, Microgaming, ELK Studios, Cryptologic, Extreme Live Gaming, Genesis Gaming, Thunderkick, Quickspins, 1X2 Gaming, Rabcat and more. This combination of game suppliers will ensure players to have access to the est and most popular online video slots supported on all devices, desktops, tablets and mobiles. As a member of Mr SuperPlay Casino you can play enjoy fantastic casino action any where by using your preferred device. Mr SuperPlay Casino is a cool looking website with a turquoise colouring and the iconic hipster dude as the logo. The website is available in English, German and Swedish at the moment but there will be other languages added in the near future. The player support at Mr SuperPlay Casino is available 24 hours a day, 7 days a week and if you should need to get in touch with them, you can easily do so by using the live-chat functon or simply send them an email. The support team is quick, professional and very accurate. It’s safe to say that Mr SuperPlay Casino put a lot of focus on giving their members a top-quality online casino experience. Mr SuperPlay Casino is operated by ProgressPlay Limited which is a company based in Malta. They are fully licensed by the UK Gambling Commission and the Malta Gaming Authority. This means that you can be sure that they meet the highest standards of player safety and fairness. 33 No Deposit Bonus Spins on Starmania – Nextgen Gaming video slot! Join Mr Superplay casino and get 33 no deposit spins on Starmania video slot. To claim the no deposit spins, simply insert the bonus code 33STAR. Winnings from the no deposit spins must be wagered 50 times and must be completed within 7 days prior of cashing out. Click here to read the full terms and conditions of the bonus! Get up to $/€/£950 bonus plus 110 free spins Welcome Bonus Package at Mr SuperPlay Casino! 1st Deposit : 150% bonus up to $/€/£150 and 30 free spins on Butterfly Staxx. 2nd Deposit : 25% bonus up to $/€/£300 and 30 free spins on Neon Staxx. 3rd Deposit : 50% bonus up to $/€/£500 and 50 free spins on Starburst. Your bonus is available for 90 days after you register your account. The wagering requirement is x50. You need to meet the wagering requirement before you can withdraw. 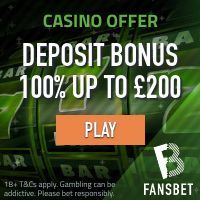 In order to claim your 3 deposit bonuses, you will need to make a minimum deposit of £/$/€20. This welcome bonus package is also available in Swedish Krona (SEK). Click here to join Mr SuperPlay Casino! Massive Casino Promotions at Mr SuperPlay Casino! The fun doesn’t stop at the entrance; Mr SuperPlay Casino offer a massive selection of bonus promotions that you can claim as a member. These include casino cashback offers, re-load bonuses, wager races, daily and weekly bonus specials and live casino promotions. As a member of Mr SuperPlay Casino you will be able to enjoy a lot of fun, exciting and generous bonus promotions. Mr SuperPlay Casino offer a safe and secure payment environment. All transactions and other digitally stored information are protected by the best encryption technology on the planet. They accept all major payment methods like credit/debit cards, e-wallets, e-vouchers and an impressive range of different instant bank transfer solutions which may differ in certain regions. If you love to play top-quality online video slots, then Mr SuperPlay Casino is the perfect place for you. The catalogue of casino games are provided by the best producers in the world; NetEnt, Microgaming, ELK Studios, NextGen, Cryptologic, Thunderkick, Quickspin and many more. Some of the most popular video slots at Mr SuperPlay Casino are Hong Kong Tower, Poltava: Flames of War, Fairytale: Hansel & Gretel, Dead or Alive, Jack and the Beanstalk, Wild Wild West: the Great Train Heist and the multi-million online jackpot slots like Mega Moolah, Divine Fortune, Lots A Loot, Treasure Nile and Cash Splash.